As my training picks up and the weather gets warmer I’m finding myself craving beverages all day long! Yesterday I was looking for a report on my desk and realized I had FOUR cups scattered about – water, coffee, iced tea and a second water! When I got home from my run on Monday night all I wanted was a nice cold smoothie. Last summer I was making myself smoothies almost daily, but during the winter I quit cold turkey – now I’m back at it! The banana, yogurt and almond milk balance out the citrus flavors so it’s not too acidic or too sweet. I’m not sure if I’ve blogged about this before, but I have the same thing for breakfast every single morning: 8oz coffee and two eggs sunny side up on top of a slice of whole grain toast (Udi’s). After making my delicious citrus-y smoothie on Monday I started wondering if maybe I could shake things up and start having a smoothie for breakfast some days. 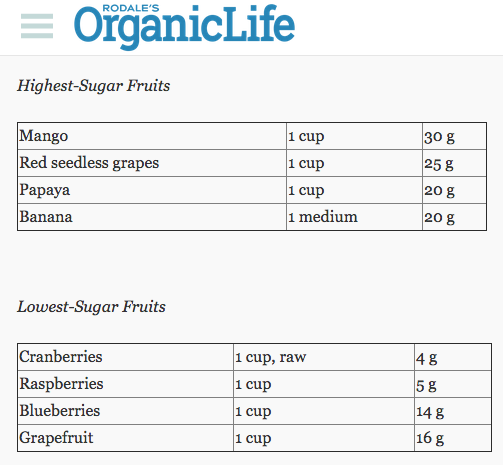 And here are your high and low sugar fruits – of course my favorites all are high in sugar! Typical! I bought a bag of leafy spinach to include in my smoothies, but I have yet to find the nerve to add it in! I have never had a green smoothie before and I am totally intimidated by it even though I LOVE spinach on its own. I need to branch out and give it a whirl SOON before the spinach goes bad! Do you like to make smoothies? What are your favorite ingredients? Will the spinach taste weird with my favorite citrus-y fruits? I love smoothies! I don’t think you will notice the taste of spinach unless you have a gigantic serving. Sounds good! I’ve been eating the Coconut Cream Greek Yogurt from TJs and thought how good it would taste with some pineapple blended into a smoothie. We are getting a TJ’s here this fall! I can’t wait to try their stuff! I don’t taste spinach in my smoothies at all! I have had every combination and I can add greens to it and would never know the difference. I am so thirsty all the time lately too! Smoothies!!!! I love them! I’ve finally started making them again after a long hiatus of me being lazy. All the ginger and fruit really masks the taste of the spinach, and it’s my preferred way of getting in my serving of greens! Thanks for sharing! It sounds like we like the same kind of smoothies… and I need to be brave and just add the spinach already! I’ve tried to like green smoothies, but I just can’t. Bleh. 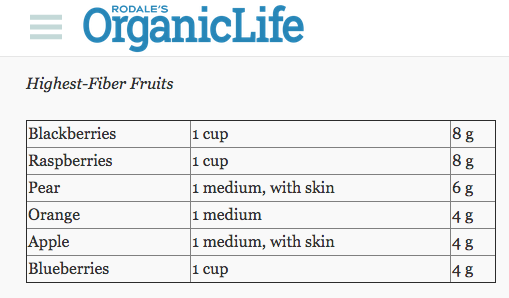 For fruit smoothies my go-to is very similar to yours (but no yogurt because I’m lactose intolerant). Mango, pineapple, banana and coconut water. Yum! I’ve also been on a protein shake for breakfast kick. I typically sip this throughout the morning and at some point during breakfast I will also eat a Luna bar. 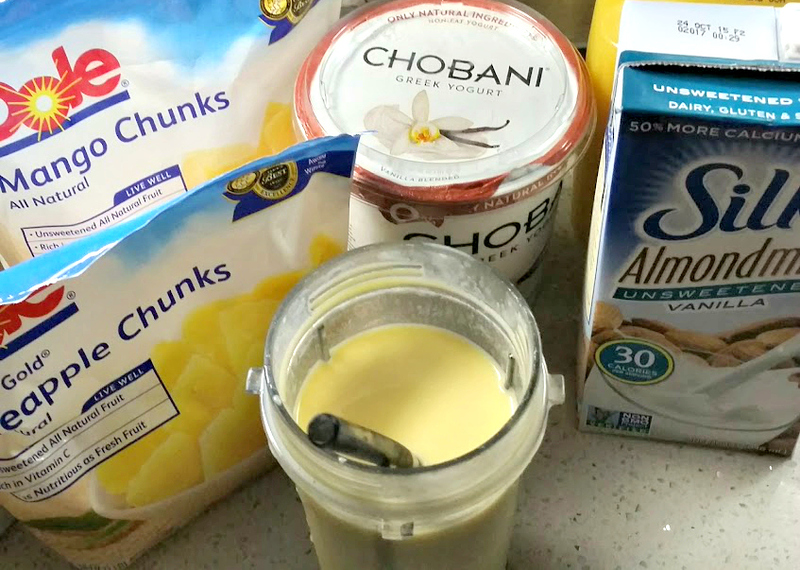 This is the shake recipe I’ve been using. Thanks for sharing! The only protein powder I have right now is mixed berry flavor. I wonder how that would taste with the almond milk… for some reason I don’t think it would taste great. I’ll have to experiment with it though OR buy some chocolate almond milk like you suggested. The chocolate and mixed berry would probably blend nicely together! I want to like smoothies but I just don’t feel satisfied if I’m not chewing! Hhahaha thanks for pointing that out! I totally meant whole grain of course. Adam and I were having a discussion about wheat earlier in the night and I must have just had it on the brain. I’m sure that’s it since I was saying how much I miss honey wheat bread, haha! I’m not wild about smoothies, personally, but Wes is. He’ll add some things that I think sound super weird (like kale) but they always end up tasting good. I think he uses a lot of ginger, which helps mask it a bit? Not sure though… we do buy and use a lot of ginger around here, so I think that’s where it’s going 🙂 I’m with you though – drinking something green just doesn’t seem right. Bananas are a must for me too! Bananas and mangos are in every single smoothie I make. Although recently I saw a recipe for a peanut butter and jelly smoothie that I might try (peanut butter or pb2 blended with frozen grapes)! I used to make protein smoothies when I was living in Santa Barbara and going to bootcamp, but I somehow lost our blender during the move to LA. I really need to get one again, smoothies are so refreshing, especially in the summer, and it’s a great way to add protein to your diet! Oh no, I’m sorry you lost your blender! A couple of Christmases ago my mom bought Adam and I a professional Ninja blender and we put it to good use! Even when I stopped making my smoothies, Adam was still making his protein shakes! I need to make this! I am craving everything cold lately and it’s fun to switch it up. I’ve heard that you can’t taste spinach in most smoothies, so I image that you can add it to this concoction as long as you don’t add too much! 🙂 You might also consider adding kale. I have been lazy, I haven’t had a smoothie in a few months lol – blender cleaning :/ I will probaly get back to this summer at some point.